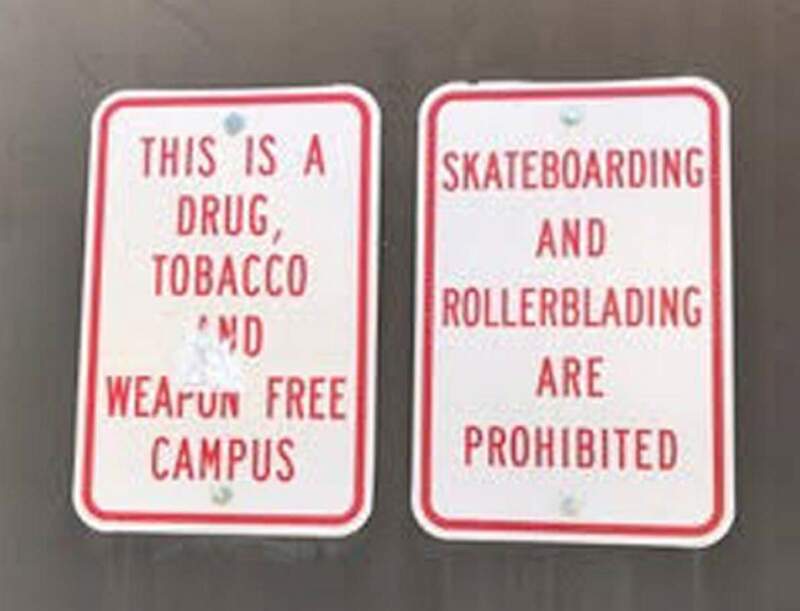 Signs outside the inclusive Durango Public Library put the kibosh on drugs, tobacco, weapons, skateboards and Rollerblades. Just to be an open book, Action Line must disclose his former service on the library advisory board and current status as a card-carrying member of Friends of the Public Library. Then, turn the page to the Demonstration Garden adjacent to the library. Action Line is a fanatical supporter of horticultural literacy. This should speak volumes about Action Line’s pro-library bias. So naturally, the signs are merely perfunctory and preventive posterior postings. For elucidation on that alliteration, we turn to our good friend Sandy Irwin, director of the Durango Public Library. “Absolutely, we are a place where everyone is welcome,” she assured, pointing out that “inclusiveness” is the top value listed in the library’s strategic plan. These are spelled out in the code of conduct, posted inside the library and online at durangopubliclibrary.org. Action Line won’t belabor the details, other than say they prohibit patrons from being complete jerks, boorish louts and/or criminals. As for the outside signs, “I’m certain they were put up when library opened in 2008,” Sandy said. That explains the prohibition on the scourge that was rollerblading. Skateboards still show up at the library. But in a good way. “You see a lot kids walking in with skateboards. The kids tuck their boards away and do homework or read. We’re glad they’re here,” Sandy said. Although skateboarding isn’t allowed on campus, you find How To Be A Skateboard Champion in juvenile nonfiction. While drugs, tobacco and weapons are verboten, the library offers vast amounts of information about those very things. For instance, an online search of the library’s collection shows 325 items for the subject “drugs.” These include books, music/audio/CDs, e-books and VHS/DVDs. “Tobacco” has but 38 listings, but search for “weapons” shows the library with 339 items for check out. Just to be clear, there are no actual weapons for check out, just information and media. As for the subject “rollerblading,” there’s but one library listing. But there’s one irksome thing – the sign about drugs, tobacco and weapons. The city needs a copy editor. It’s called suspensive hyphenation for compound modifiers, with “free” being the attributive word for drug, tobacco and weapon. A quick search of library resources for “punctuation” includes 32 results, including English Grammar for Dummies and The Chicago Manual of Style. Email questions to actionline@durangoherald.com or mail them to Action Line, The Durango Herald, 1275 Main Ave., Durango, CO 81301. You can ask for anonymity if you support funding increases for the public library so that it can be open on Sundays.